This August, a pioneer in space exploration returns to Earth after more than 30 years of service. The spacecraft is still in good, functioning condition, and could possibly be assigned to another mission. Sadly, however, we seem to have forgotten how to speak its language. 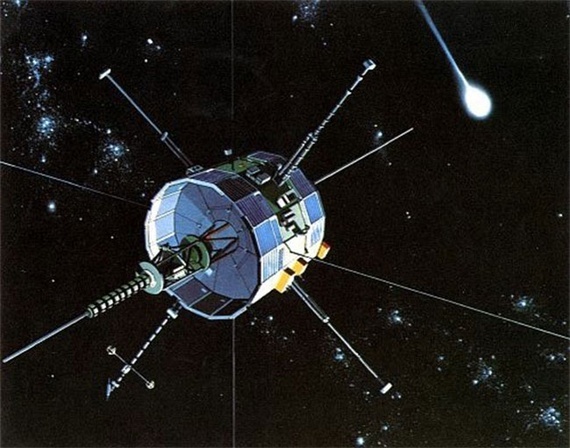 The probe, a collaboration between NASA and ESA, was one of three crafts launched in 01978 to study the the interaction between solar wind and Earth’s magnetosphere. Named the International Sun-Earth Explorer-3 (ISEE-3), it was the first-ever object to be sent into heliocentric orbit at the first Lagrangian point – a particular location between Earth and Sun, where our planet’s gravitational force cancels out the Sun’s pull in such a way that a satellite essentially orbits in tandem with Earth. 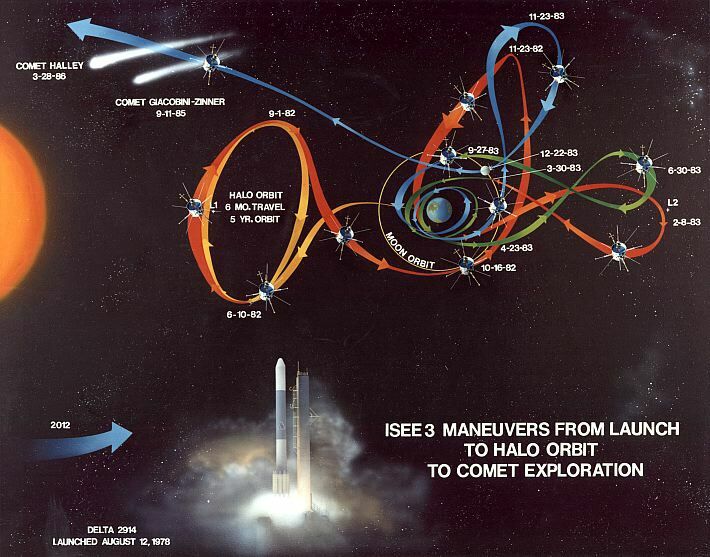 Upon completion of its mission in 01983, the probe was repurposed and re-christened: now called the International Cometary Explorer (ICE), it circled the moon a few times to gather speed, and then flew off to chase after two comets. 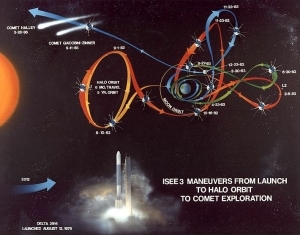 ICE intercepted comet Giacobini-Zinner in 01985 before catching up with Halley’s comet in 01986, and making history as the first spacecraft to study two comets directly. Several months of digging through old technical documents has led a group of NASA engineers to believe they will indeed be able to understand the stream of data coming from the spacecraft. NASA’s Deep Space Network (DSN) can listen to the spacecraft, a test in 2008 proved that it was possible to pick up the transmitter carrier signal, but can we speak to the spacecraft? Can we tell the spacecraft to turn back on its thrusters and science instruments after decades of silence and perform the intricate ballet needed to send it back to where it can again monitor the Sun? The answer to that question appears to be no. I wonder if ham radio operators will be able to pick up its carrier signal – it’s meaningless, I guess, but it feels like an honorable thing to do, a kind of salute to the venerable ship as it passes by.